Keeping on top of your accounts is vital for any small business. Take a look at our top accounting tips for SMEs to see how you can make sure your business is in the best financial shape it can be. When you start your small business you should open a separate bank account for it. This will make it far easier for you to keep track of your finances and will help you reconcile your bookkeeping figures with the amount in your account. By producing a regular cash flow statement, you will be able to see exactly what state your accounts are in. This will make it far easier when you come to submit your Tax Return as you will have all your figures and documents in place. It will also help you to keep track of how much you are spending and whether you are overspending in any area, as well as helping you to see trends such as seasonal increases and decreases in profit. Find out if you are entitled to any tax relief as a small business owner. There are some circumstances in which it may be possible for you to pay less tax. These are if you are entitled to Working Tax Credit and Child Tax Credit, buying equipment to use in your business, research and development tax reliefs and direct investment incentives. Consider using accounting software to help you keep your accounts in good order. This can often save you time and money. Consider hiring a business accountant. Do your research and make sure whoever you use is registered to an official accountancy body or organisation. Ensure that you send an invoice out within 24 hours of a service being delivered, as some businesses have a 30 day or even 60 day payment cycle. If you delay sending an invoice by even just a couple of days you may face a long wait to be paid, which can impact the rest of your business. Try to make things as easy as possible for all involved by having a range of payment options available to your clients. Consider introducing online payments, such as PayPal, and credit cards, which may incur a small cost, but could help prevent cash flow problems. 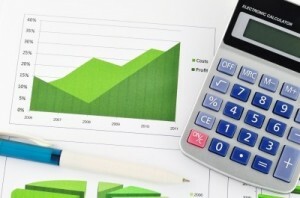 Do you have any small business accounting tips? Leave a comment and let us know. For help managing your finances speak to SliQTools (http://www.sliqtools.co.uk/contactus.aspx) for our easy-to-use invoicing software.